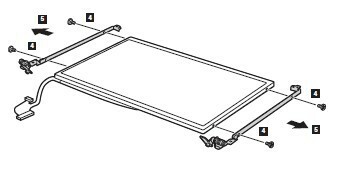 In this guide, the acutal laptop is Lenovo Ideapad S10-3C. Lenovo S10-2 is very similar. First of all, shut down your Lenovo S10-2 S10-3C. Disconnect the AC adapter and remove the battery. 1. Remove four screws 1. Detach the integrated camera connector 2. Remove the LCD panel in the direction shown by arrows 3. 3. The LCD cables are attached to the LCD panel by a metal connector. 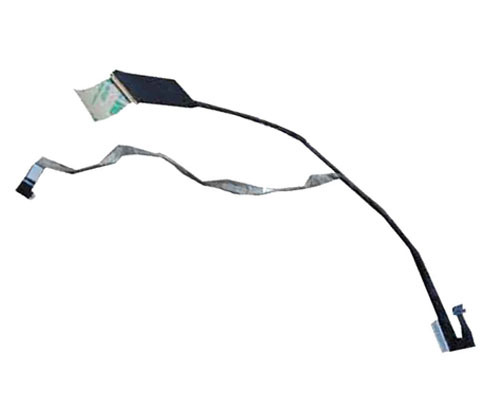 Peel off the adhesive tape and detach the metal connector in the direction shown by arrow 6. 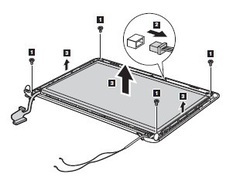 Reverse the procedure to install your new Lenovo Ideapad S10-2 S10-3C LCD cable.